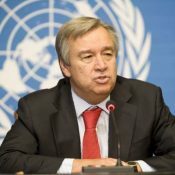 UN Secretary-General António Guterres and UN General Assembly President María Fernanda Espinosa Garcéhas have both called for dramatically accelerating efforts to slow climate change and achieve the Sustainable Development Goals. 18 January 2019 | UN Secretary-General António Guterres and UN General Assembly (UNGA) President María Fernanda Espinosa Garcés have pledged to make September 2019 a defining moment for stopping runaway climate change, achieving the Sustainable Development Goals (SDGs) and building a fair globalization. Addressing the outlined similar priorities for the remainder of the 73rd UNGA session. On migrants and refugees, Mexico said his country is the first or second largest corridor in the world for migration, and it will take the Global Compact on Migration as a basis for its legislation and policies. Jordan called on the UN to continue to support countries that host refugees.